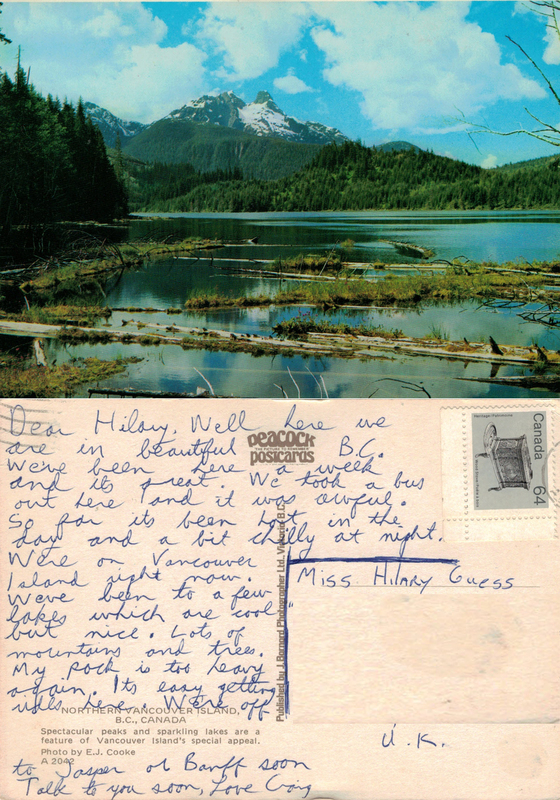 The card is post marked ‘Devizes 18 Aug 1981 Wilts’ and also carries the feint ‘Be Properly Addressed’ post code reminder. The 18p stamp features one of the Philip Sharland designs commemorating the 25th anniversary of the Duke of Edinburgh’s Award scheme. 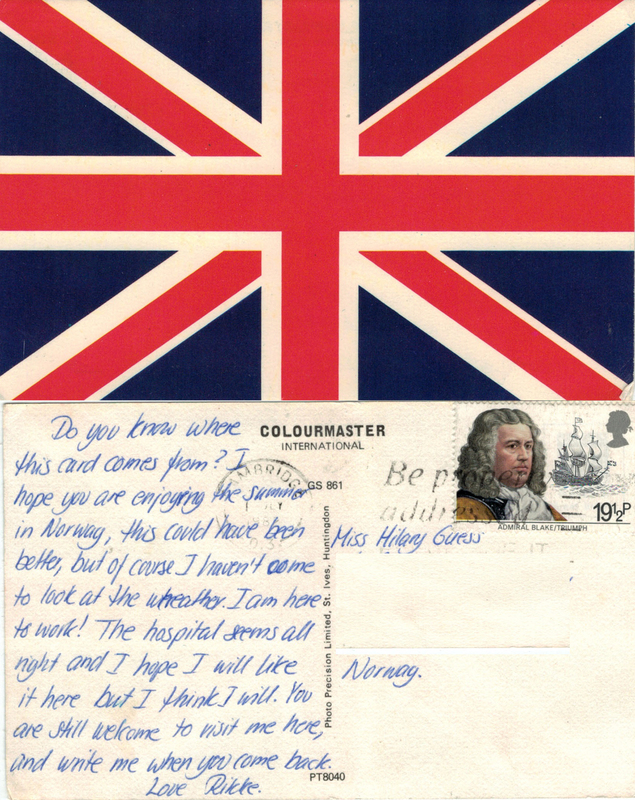 It is postmarked ‘Stockholm 30-11-1981’ and carries a 1.75 krone stamp featuring Queen Silvia. 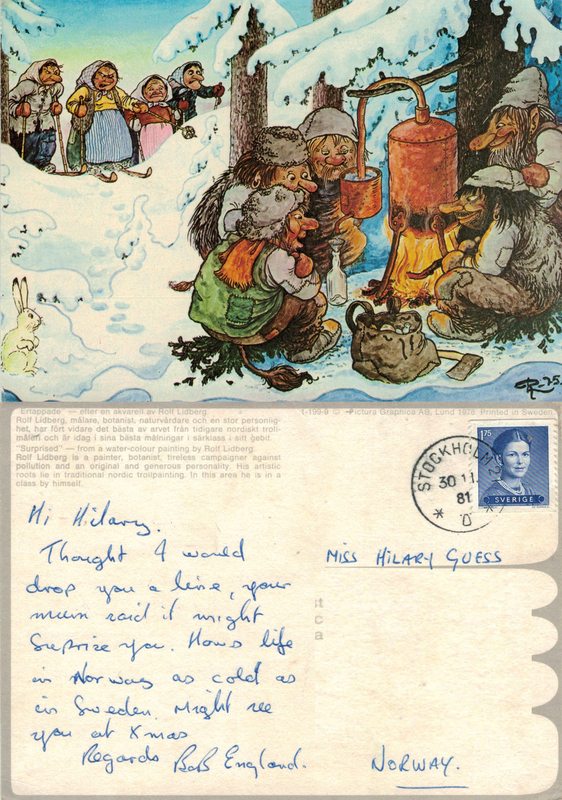 The front of the card features part of a watercolour painting by Rolf Lidberg – renowned for his depictions of trolls. Bob was a work colleague of my mum’s; as I had worked at the same place during school holidays I also knew Bob. 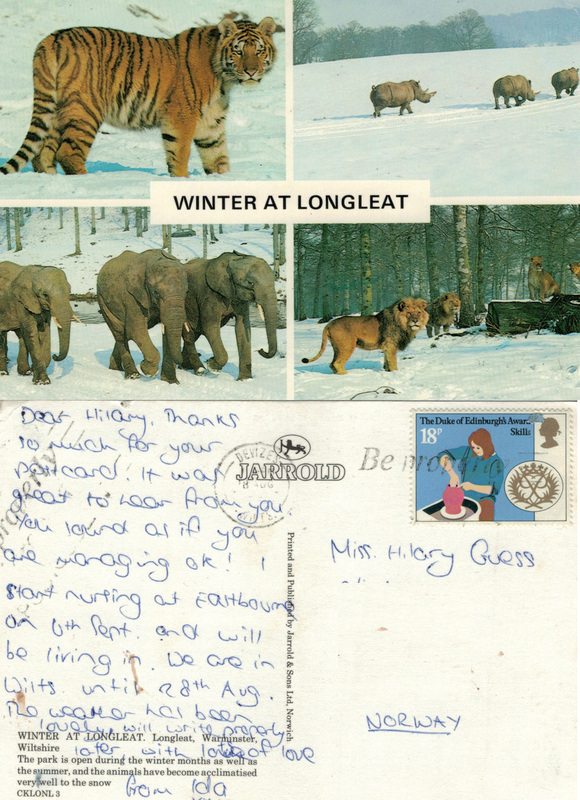 This fairly random piece of correspondence would indeed have been a ‘surprise’ and was, no doubt, gratefully received by me in Norway; it was thoughtful of him to take the time to send it. Strange that my married name is ‘England’ – no relation – and it is, in fact, a reasonably common surname here in the UK. Does anyone recognise the picture on the front? 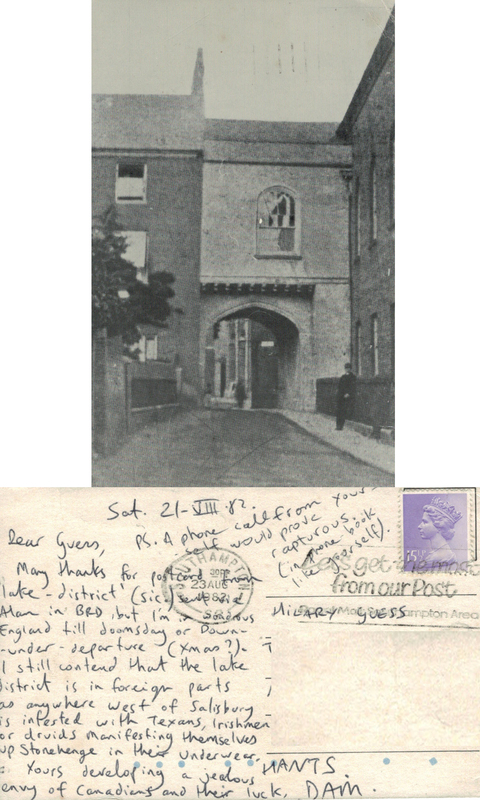 There is no clue on the back; I imagine it’s Romsey (like the earlier card) but it could be Salisbury or Winchester. Once again the message on the card is full of fascinating ramblings… DAM called his parents by their names; Alan was his dad. Of course we know where this card comes from! Interesting choice of image to send from historical Cambridge. There’s the inevitable weather mention, together with news of Rikke’s new job and life.